Student safety is of paramount importance to the Union, University, Durham County Council and Durham Constabulary. We are working together as the City Safety Group to make sure Durham is a safe place for students to live, study and have fun in. One of the key areas we are focusing on is helping students to get home safely on an evening, and in particular after dark. We have introduced the following services and resources to get you home safely. 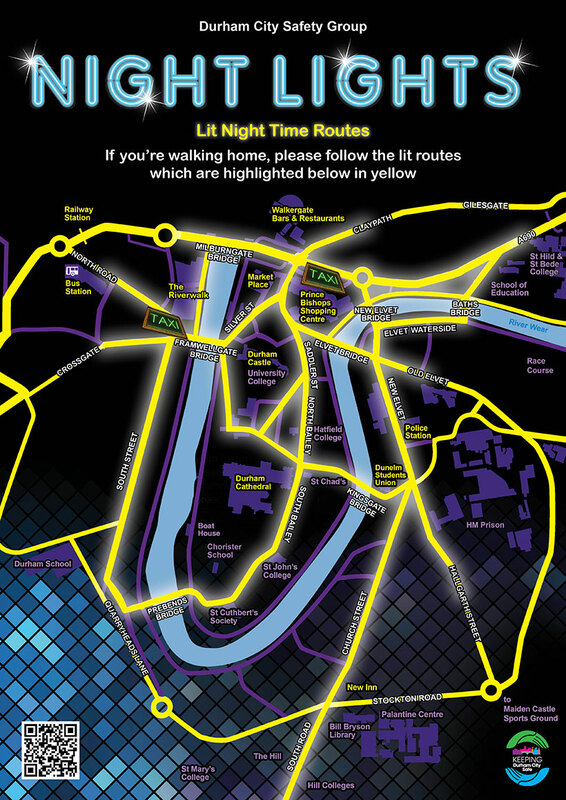 Durham County Council has created a map which highlights the lit routes home. We recommend that you download this and save it to your phone, so you have it available when you are out on a night. 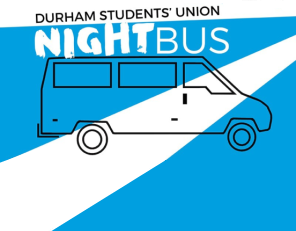 The Students' Union night bus service runs seven nights a week during term time in Durham. The bus costs just £2 per student journey and is the perfect way for lone travellers to get home safely around Durham City. © 2019 Durham Students Union. Registered in England as a company limited by guarantee (07689815) and a charity (1145400). Our VAT registration number is 119736690.